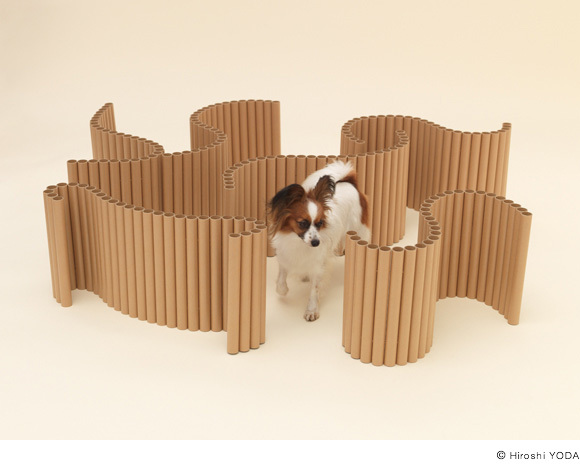 With just two wires, the paper tube found inside the ubiquitous cylinder of plastic wrap changes shape, making a space for dogs. You can make a bed, a swing, a maze-like environment, even a chair or table for yourself." Born in Tokyo in 1957, Shigeru Ban attended the Southern California Institute of Architecture and graduated from Cooper Union School of Architecture in 1984. 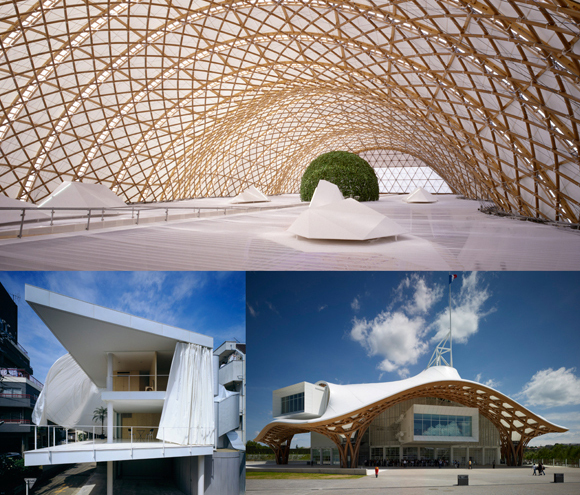 In 1985, he established Shigeru Ban Architects, a private practice in Tokyo. In 1995, he began working as a consultant to the United Nations High Commissioner for Refugees and at the same time established an NGO, Voluntary Architects’ Network (VAN). Ban’s titles follow: Jury member, Pritzker Architecture Prize, 2007-09; Professor, Keio University, 2001-08; Visiting Professor, Harvard University Graduate School of Design; Visiting Professor of Cornell University, 2010; Professor, Kyoto University of Art and Design, 2011-present.